Spacious 5 berth caravan to enjoy your holidays & make great family memories,we are happy to hire out our caravan to clients who will look after it as if it's their own. Return the caravan clean inside and out- we will always ensure that the caravan is 100% clean inside and out prior to her hire. Our expectation is that she is returned in the same condition, if this is not the case then a cleaning charge will be omitted from the bond. Toilet Cassette must be cleaned out on return if not then we will deduct a $100 fine out of your bond. Caroline and Blair were wonderful to deal with and very accomodating. So thoughtful towards the inclusions in the Flott. Highly recommend. Fantastic caravan. Perfect. Had everything we needed and the kids loved it. Had a great family holiday. The Flott,We had an amazing time the Flott is a amazing caravan everything u need and the owners are more than willing to help making our journey very memorable thank you for everything guys thumbs up ! This was the second time that we have stayed in the Flott and again it was amazing. 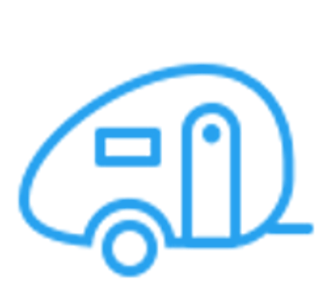 The caravan has everything that is required for the family stay and the equipment is in great condition. It is a wonderful size for a family of four or five and it is lovely and clean and well organised. Blair and Caroline are great to deal with and nothing is too much trouble. We would definitely use the van again and couldn't recommend this enough over other forms of accommodation and caravans that we have stayed in. Just love it! Caroline and Blair have thought of everything you could possible need for a caravan holiday. They are very easy to deal with, and maintain their caravan extremely well through out. We thoroughly enjoyed our holiday because they have the caravan fully equipped. From cutlery and crockery, to chairs, outside table, games for the kids, etc. We can't recommend them highly enough. My kids literally said, for the first time they were excited to go to bed on the first night of a camping holiday - no uncomfortable, cold nights! Thanks guys, we'll be back for sure. You have a great family caravan.